Walking The Boy home from school today he said something that made my heart twist inside a little bit. "Sometimes I think," he said, "I don't have a very nice life." Though of course he does, mostly. He is a happy, gregarious, funny, eloquent six year old phased by very little the world has chosen to throw at him during his short life apart from the one thing that prompted him to say he didn't have a very nice life in the first place. And, today, he emerged from school with a cut and grazed cheek which "stings a bit" after he was pushed over in the playground onto a stone. My first thought was "Thank lord it wasn't any higher" and my second was "No you fuckers, this time I've had enough." I understand, of course, that accidents happen, that kids will be kids and sometimes its half a dozen of one and six of the other, I'm a mother of four for gawd's sake, but I know that my Boy is not capable of an intentioned act of violence on anything and I know he doesn't go looking for fights. He has no need, he has three sisters at home. I also know that he has a soft spot for The Girl that has outlasted anything she has so far thrown at him and that really he still considers The Other Boy a friend. And I know that he is bewildered that they do these things to him and hurt that they choose to, because he tells me so. The one time he hit back, literally, was in response to The Girl biting his inner elbow and biting it badly enough to break the skin and leave a dental impression that would make a forensic scientist weep with joy. The Boy, in some pain, punched her leaving "a red mark on her chest" said his class teacher in a phone call apprising me of the "situation." But I saw the bite mark and I'd have bloody punched her too. He's not the only one in the class to suffer at the hands of The Girl or The Other Boy and the school do what they do every time anyone transgresses and gets caught. The perpetrators are put on red (as part of the Traffic Light System *rolls eyes*), miss the next playtime and, if they've been really naughty, get sent to the headteacher. I've talked to the Other Parents and discovered not-very-much and The Girl only ever bites people when she's at school. So that's alright then. And I've talked to the teachers. Expressed my concerns. Complained, politely of course, and come to the impression that, basically, they KNOW but really what can they do, they're busy. And that's all well and good, I'm sure everyone thinks they're doing a splendid job in a tip-top manner and abiding by all rules, regulations and good practices you can throw at them but clearly somethings not working, or not working fast enough to stop The Boy, MY Boy coming home with cuts and bruises brimful of unhappiness and bafflement. 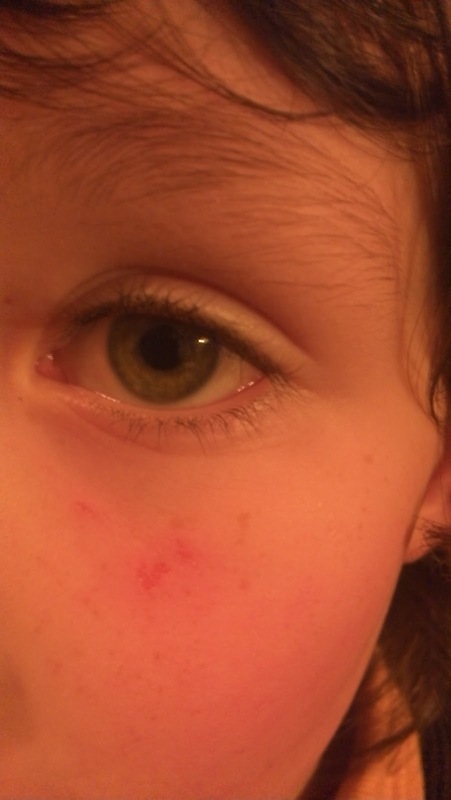 He's six years old and he doesn't deserve to be the punchbag or lose an eye while some classmates learn to behave themselves and not to bite, not to punch, not to hit people with bats. He has to spend another four and a half years in the same class group and what happens if they never learn? I love my son very much, I would wade across seas for him, fight dragons and, yes, remove spiders from the bath and I will not let him be used as an educational aid. So sorry to read your post, my son was/is bullied since reception, the hitting has since stopped (he's 8 now) and it's more mind games and hatred notes. In between instances my son still wants to be his friend of course. I would have pulled him from the school but there was a new head this year and she does appear to be on it. I asked for a copy of our schools Anti Bullying policy, they should have one, and on it was a name of one of the Governers, my Ace was to say I would be going to them as I was unhappy with the school's lack of action. Teachers are too soft on kids nowadays.... even 11 years ago when I started getting bullied they were too soft. This is one of my worse fears for my son when he starts school. I suppose another option you could have is to approach said kids parents at the school gate (or find out where they live and turn up on the door) and make them understand that this bullying needs to stop. The school can only do so much, parents need to take responsibility as well. I do hope things improve for your son soon.